In personal injury lawsuits, Nevada law allows for the recovery of “non-economic” damages such as pain and suffering, but calculating a monetary value can be difficult. Unlike lost wages or medical bills, pain and suffering are subjective. Fortunately, there are formulas insurance companies and personal injury attorneys in Las Vegas use to make putting a dollar amount on pain and suffering simpler. Economic damages for an injury are easy to quantify, but “non-economic” damages are subjective. Proving pain and suffering often entails providing medical records, photos and/or videos, emails and texts, social media posts, and testimony from doctors, friends, and co-workers. Medical records that include MRI and X-ray results, as well as a doctor’s exam and treatment notes are powerful tools in proving pain and suffering. Before and after photos or videos are a good way to illustrate progress in therapy and rehabilitation. Testimony from family members, friends, and co-workers are effective to show lifestyle and emotional changes caused by an injury. Although counseling is not required to show proof of pain and suffering, it is usually necessary when there are no physical injuries. 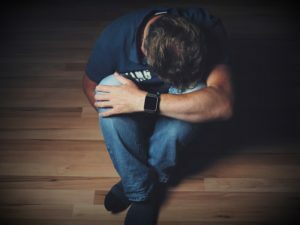 Injury victims who experience insomnia, anxiety, and depression after their injury can rely on their therapist to show proof of pain and suffering. In Nevada, settlement amounts for damages are negotiable, but most insurers use two formulas to calculate acceptable monetary settlement awards. This method multiplies the compensatory (actual) damages by a number between 1 and 5, depending on the severity of emotional impairments. For severe injuries requiring long-term treatment and/or painful treatment, a higher number is used. Very large awards for pain and suffering are often paid out over a longer time period time with a structured settlement. This method calculates damages for pain and suffering “per diem” (per day). For instance, if an injury results in pain and suffering for 60 days, a victim may ask for $150/day for 60 days for a total of $9,000. This is often in addition to compensatory damages.